Chinese electronics maker Xiaomi has released its first Android Go Edition phone in India. The Redmi Go is for consumers who are looking to move on from feature phones and with the addition of stock Android goodness, it does make a compelling option in the budget segment. Redmi Go was announced earlier this year and is only the second phone of its kind in Xiaomi's arsenal to run stock Android. The first one being the company's Mi A-series. The Redmi Go goes old school with its 5-inch 16:9 aspect ratio HD (1280 x 720 pixels) display. It has a metal chassis and three capacitive buttons on the chin– home, recents and back. Powered by Qualcomm Snapdragon 425 chipset with a quad-core CPU, the Redmi Go will be offered in just one configuration. The phone comes with 1GB of RAM and 8GB of onboard storage. It supports microSD cards for further increasing the storage by up to 128GB. There's a dedicated microSD card slot along with support for dual SIMs. However, the phone doesn't support 4G networks on both the slots. Being a part of the Android Go program the phone comes loaded with a stock Android 8.1 Oreo (Go Edition). There's an 8MP rear camera with an f/2.0 aperture while a 5MP selfie camera is housed on the front for selfies. The camera has got basic functionalities such as HDR, burst mode, manual mode, real-time filters among others. It can also record videos up to Full HD resolution. 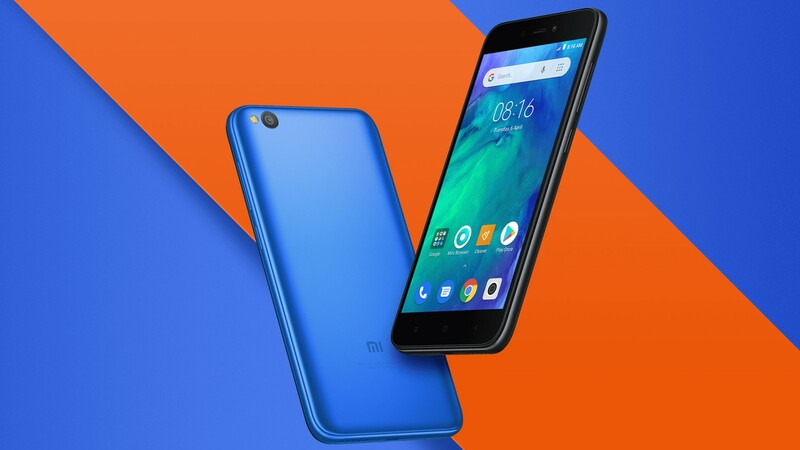 The Redmi Go has a 3,000mAh battery to its disposal which Xiaomi claims can provide up to 12 hours of calls, 78 hours of music and 5 hours of video playback. The battery is also said to last for up to 10 days on standby. Redmi Go is priced starting at Rs 4,499 for the 8GB storage variant. The first sale will be held on March 22 on Flipkart, Mi Store India and Xiaomi's offline partners across India.